Photobooth with DSLR Booth! | Fallon Chan Fallon Chan: Photobooth with DSLR Booth! A few months ago I was asked by a friend to help set up a photo booth for this past weekend and of course I agreed. I originally didn't know how I was going to make it work and I wanted it to be as simple as I could make it. Last week I started to look up different software to let me do that and I came across dslrbooth. It works with most of the Nikon and Canon cameras out there. 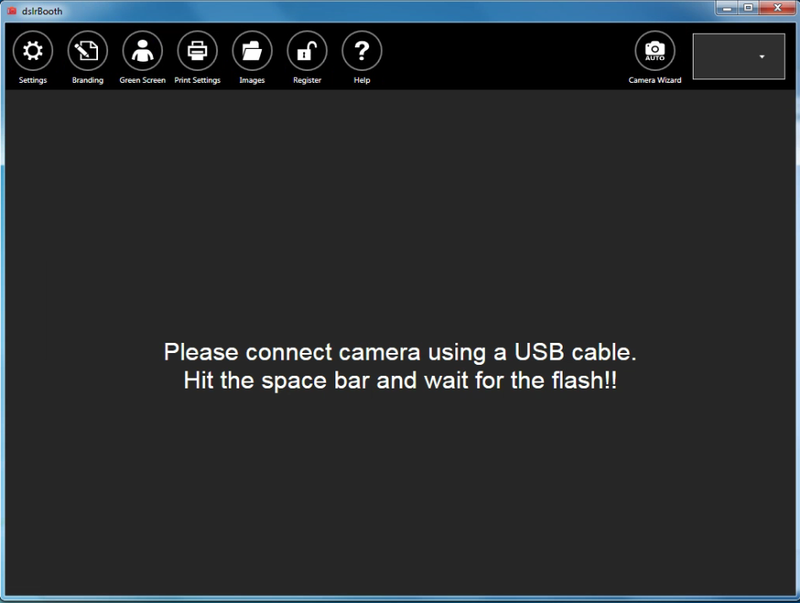 For Sony and Fuji however, you would need third party software to allow the dslrbooth to trigger the shutter. The software costs only $50 for standard edition which has a lot of features already and I knew I was going to use it more often so I bought it without hesitation! The UI is very simple to use and it is actually maximized for touch screens but it works on non-touch screen as well. I have a four year old dell running win 7 and there were no issues. The software also gave us the option to play with the layout and we ended up using a logo that the mother to be designed! We also set up the photo booth to allow photo sharing and people were asked to submit their email so that a copy can be emailed to them directly. 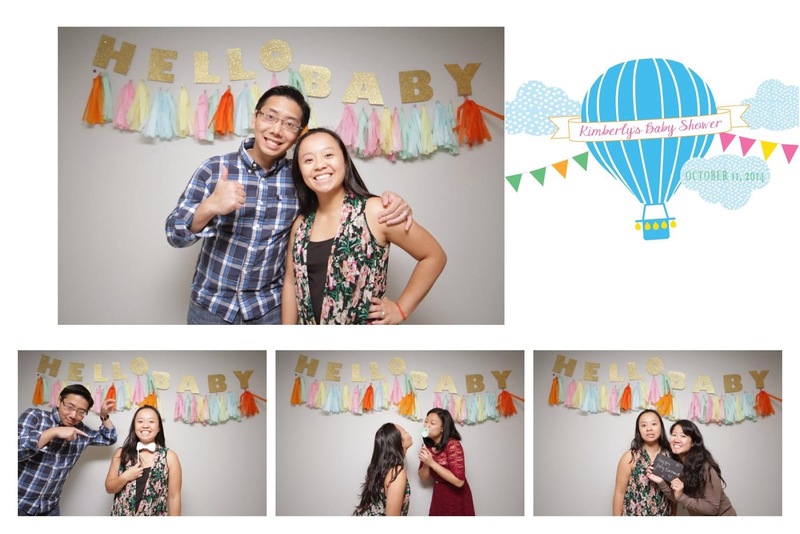 Below is a sample of what we ended up having and sharing with those who participated in the photobooth! I don't have a photo of the set up itself, because honestly I completely forgot. We had a tripod with the camera with speed light attached which was bouncing light off of the ceiling. The laptop was right next to the camera which gave the participants the prompts for photos. 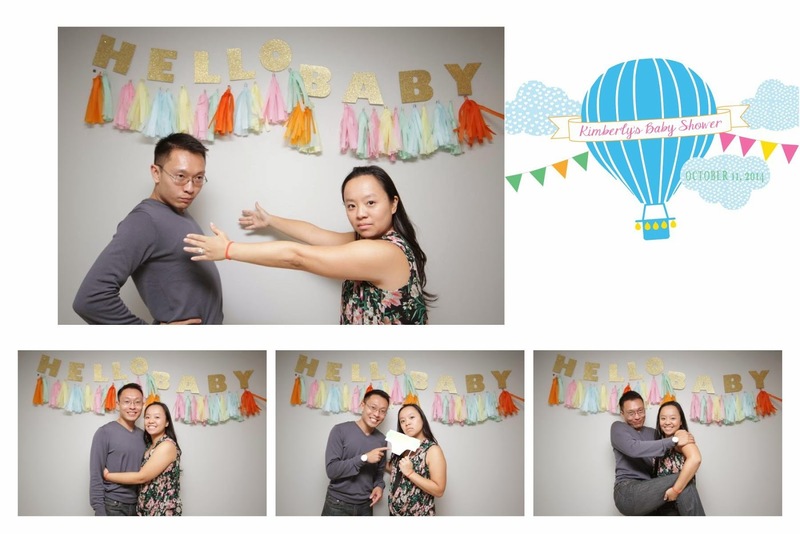 I will be doing another photo booth for a family baby shower so I'll hopefully remember to take a picture then!